On Thursday, December 9, the USA Cycling Cyclocross National Championships will kick-off in Bend, Oregon as the Old Mill District will play host to the National Championships for the second consecutive year. 1,400 cyclists of all ages and abilities will line up to battle each other, and mother nature, in a festival-like atmosphere that features BikeYoga classes, a warm-up area with LeMond Revolution trainers, and the Cross Culture: Art & Bike Festival, among other things. In all, 36 titles will be awarded. For the first time ever, men’s and women’s singlespeed titles will be awarded (on Thursday). This year’s course will be longer and a bit more technical then last year’s course. Finally, with the exception of the elite, U23, and collegiate categories, riders will have the option to earn start spots based on results in the individual time trial completed the day before their race. All-in-all it promises to be an exciting four days in the heart of the Northwest. For the third consecutive year, I will attempt to predict the winner of all 36 national titles that will be awarded this year. (We will have a more detailed preview and predictions for the elite races.) Below I have listed my predictions for all the races on day one (Thursday). I will post my other predictions as the week goes one–along with a quick review of how I’m doing with my thus far. Feel free to add your own or comment on my excellent–or poor–choices. Best of luck to everyone in Bend! 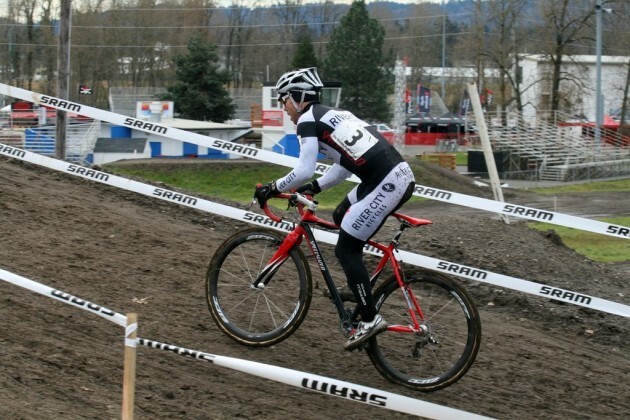 This entry was posted in Featured, Races and tagged 2010, Cyclocross, nationals, predictions, us. Bookmark the permalink. Glad to see you picked JT for the single speed win. He's a good friend and an incredible rider. I hope your prediction is correct!